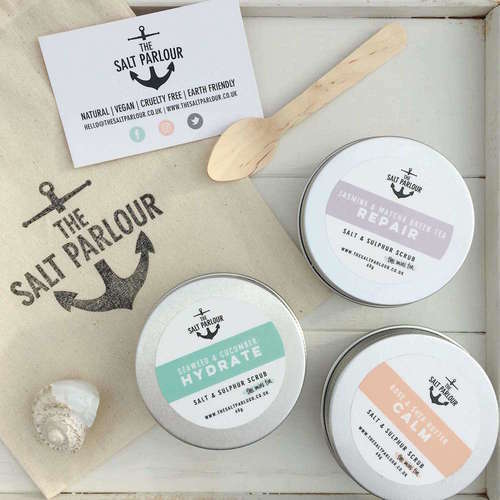 The Salt Parlour believe the sea can do wonders for your skin and they wanted to recreate that beach holiday feeling with their range of salt & sulphur scrubs. Their ethos is simple, to create natural, vegan, cruelty-free and eco-friendly skincare products that make skin glow and feel healthy. They also only use reusable plastic-free packaging to help protect our seas from harmful plastic waste.